Last week we posted a few questionable Jaguar machines that had been Chevified with a carburetor fed small block mated to a TH350 slushbox, but today I've got a fuel injected Jaguaro with a 6-speed manual box...but you've seen this car before when it sold for something above $7k. 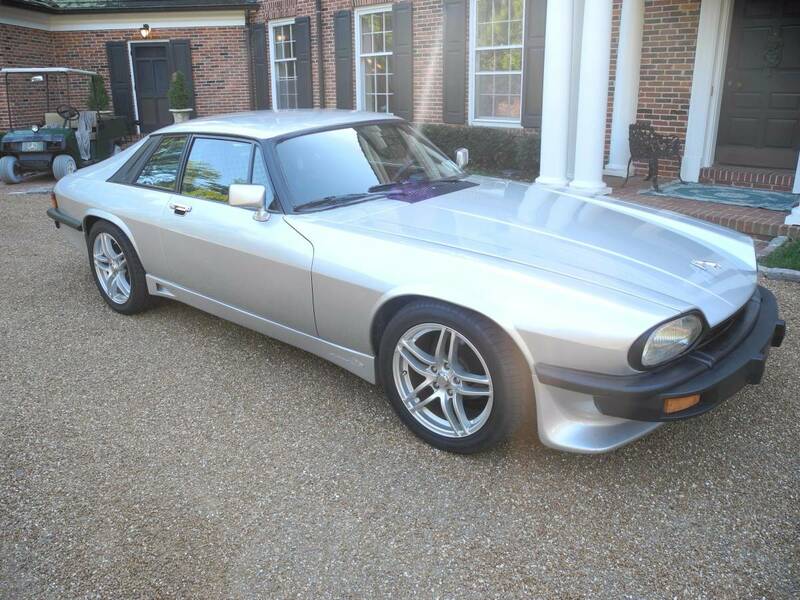 Find this 1980 Jaguar XJS with LT1 V8 offered for $17,500 near St Louis, MO via craigslist. Tip from Rock On! 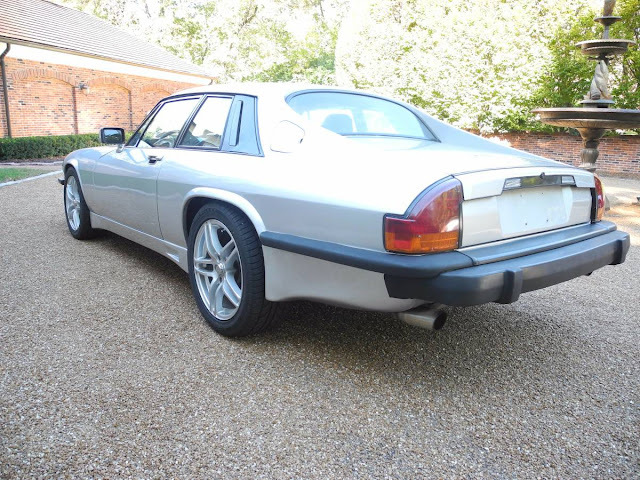 Hello, You are viewing my 1980 Jaguar XJS that is completely modified/restomoded, with 19k miles since restoration. Drive-train 5.7L GM LT-1 V8 6-speed Tremec T56 Manual Trans-Dana Independent Rear-End w/ ~3.31 gears. Drives smooth, tight transmission and clutch. No smoke, ice cold AC. Exterior is Silver (great shine and finish), shaved side markers, good gaps and flat panels. Has a Arden 5-piece body kit and 17"x 8" ADR Wheels w/ New Tires. 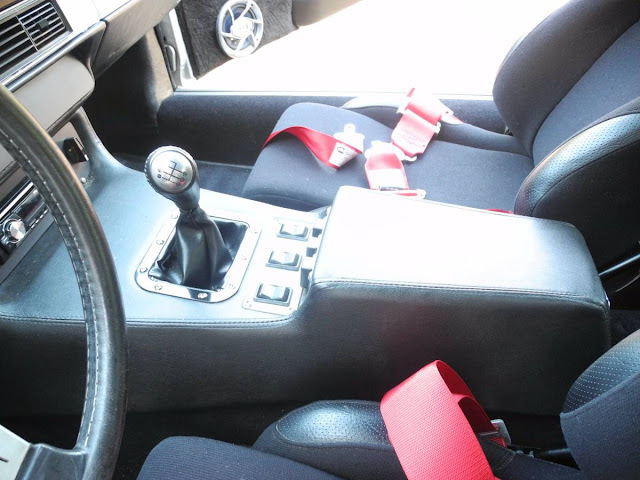 seats (adjustable tilt and slide) Sparco 3" Harnesses, with new carpet. Custom center console, Painless Performance wiring, Stainless Fuel Cell and Enclosed Fuel Pump and Trunk-Mounted Battery. 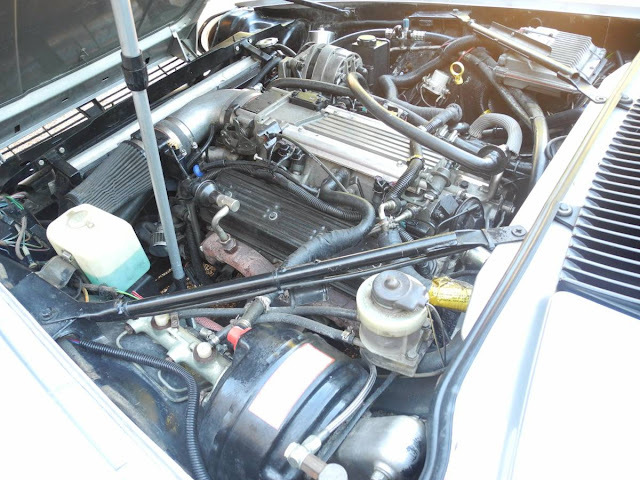 Mechanically the car is very sound and dependable. road trips from Louisville-Milwaukee-Dallas-Louisville, Louisville-Houston-Tampa-Louisville, and several more...all with no issues. Recent work in the past 200 miles includes new intake gasket, front brakes,water pump, hood shocks, and new tires! The exterior paint is in great shape. The car has no rust that I can find. 6-speed Tremec manual transmission using a factory Jaguar right-hand drive clutch assembly. engine/trans conversion, interior, and the body kit, this car is truly one of a kind XJS ! A pre-purchase inspection is more than welcomed. Said vehicle is sold in "as is" condition. Records included. If you have questions please email me your phone # and I will call you back. Arrrr-ighty then. I do believe I'd be interested in such a beast. Alas, wrong continent. I really love this car!